Since 2006, we have supported over a thousand families as they birthed their babies. 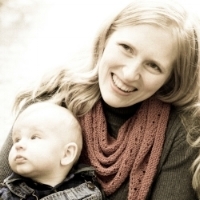 Kate Hartwell is a New Hampshire licensed midwife and a nationally Certified Professional Midwife. She has attended hundreds of births since 2007 in diverse settings - home, birth center and hospital. Pregnancy and birth are statistically low-risk and require little or no medical intervention, and she is skilled at recognizing when intervention is necessary. Kate gives time and attention to clients' questions and concerns during clinic and home visits. Her emphasis is on educating, identifying and preventing problems, allowing families to make their own informed decisions regarding care. Cindy has been attending births since 1999, and received her license in 2004. 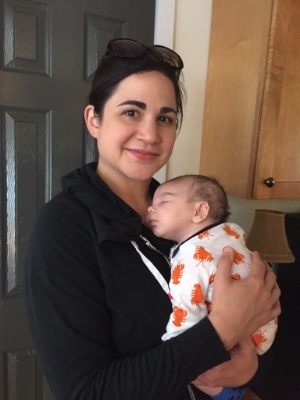 She graduated from Birthwise Midwifery School in Bridgton, ME and apprenticed with several home birth midwives, a birthing center in Texas, and a Family Practice, then in 2010 joined the Concord Birth Center. Cindy completed a year long Herbal apprenticeship in 1996 and uses natural healing methods in her midwifery practice. She has a good background in nutrition and breastfeeding support. Cindy lives with her family on 140 acres of conservation woodlands and fields. She and her husband have 6 adult children out in the world, and a teenage daughter at home. Cindy enjoys fiber arts, gardening, and homesteading. Bryn Munroe is New Hampshire licensed midwife and a Certified Professional Midwife with the National Association of Registered Midwives. Bryn has been attending births since 2011 and has been a part of the Concord Birth Center family since 2013. She has experience with home, water and hospital births and offers placenta encapsulation services to birth center clients. Bryn gave birth to her son at the birth center in 2016. She enjoys fiber arts, hiking, gardening and playing outside with her son. Jennifer "Jenny" Sue Rockwell is the Birth Centers Office Manager. She has a robust career background which includes intense training in the performing arts. Jenny brings with her a gift for connection that she uses to help the Birth Center to stay running smoothly, and a loving energy that reflects in her communication and care for our clients.